Audi is preparing to compete at the Pikes Peak International Hill Climb with the new RS5 sports car. With this occasion, the German car maker revealed at easer image which shows the front end of the new RS5. 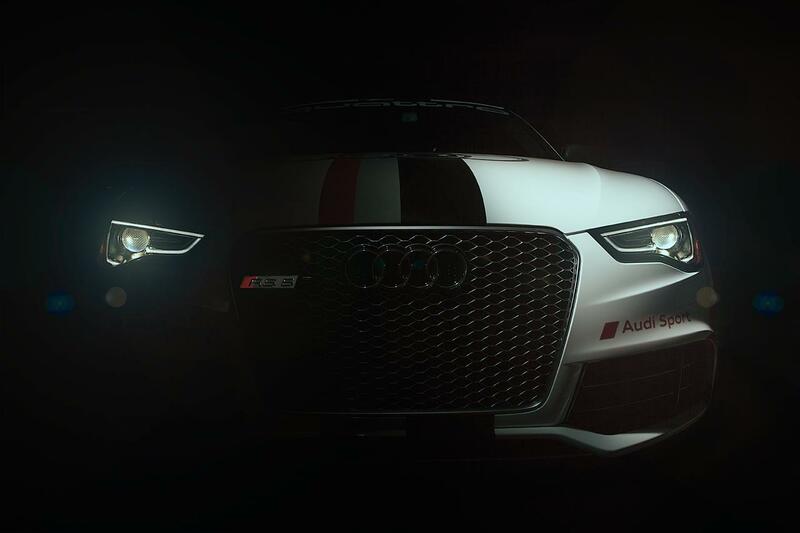 The teaser shows an aggressive look of the model with a white finish and red/black stripes. There is also a proeminent front grille with large air intakes integrated in the bumper and a large RS5 logo. Power comes from a 4.2-liter V8 engine capable to deliver 444 horsepower and 430Nm of torque. The 0-100 km/h sprint is possible in 4,6 seconds while the top speed is limited at 250 km/h. These performance figures are available when the model is linked to a seven-speed S tronic transmission. As you probably know, the Pikes Peak International Hill Climb is scheduled to take place on August 12th.